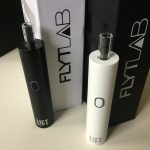 We were first introduced to FlytLab and their line of vape products at the BIG Industry Show in Downtown Los Angeles. We were initially attracted to their clean, black and white aesthetic which is consistent in their branding across their ying-yang colored exhibitor booth, extending to their product packaging and vape designs. 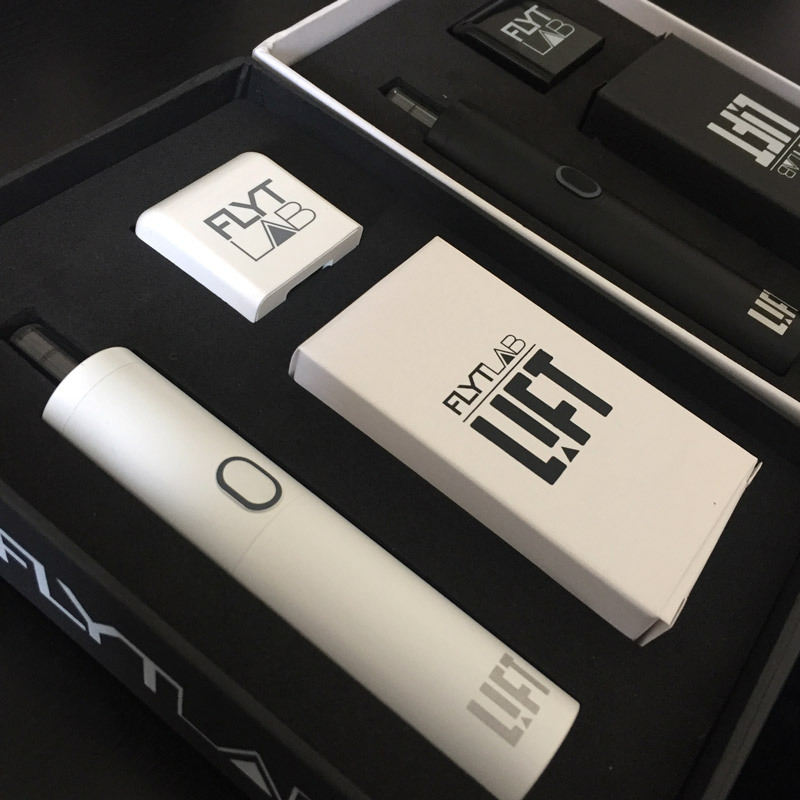 The FlytLAB LIFT is an attractive dry herb vaporizer that performs well. 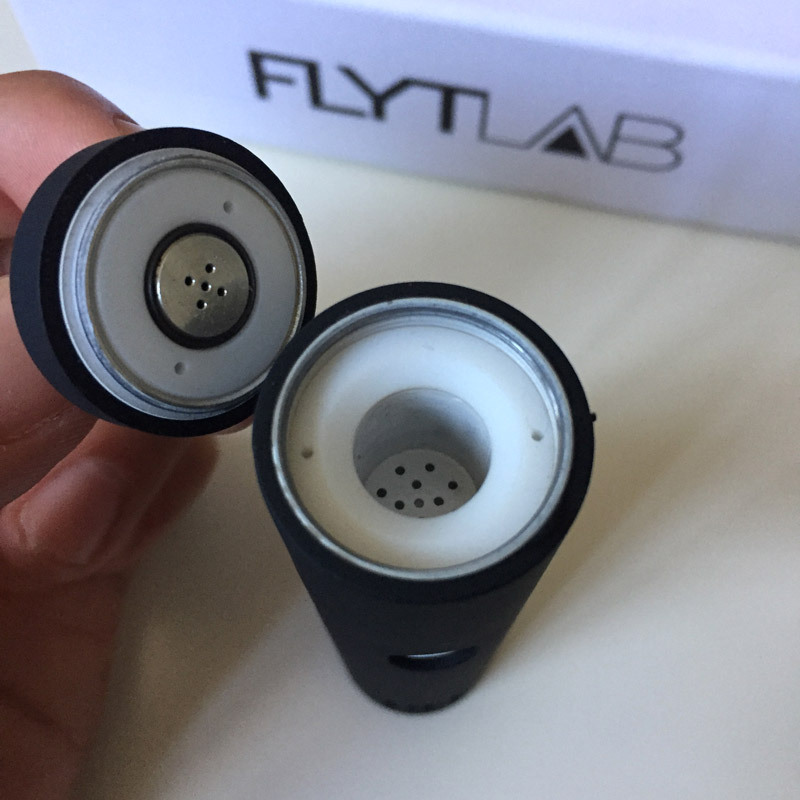 The friendly folks at the FlytLab team were kind enough to provide us with a sample of the FlytLab LIFT loose leaf vaporizer. 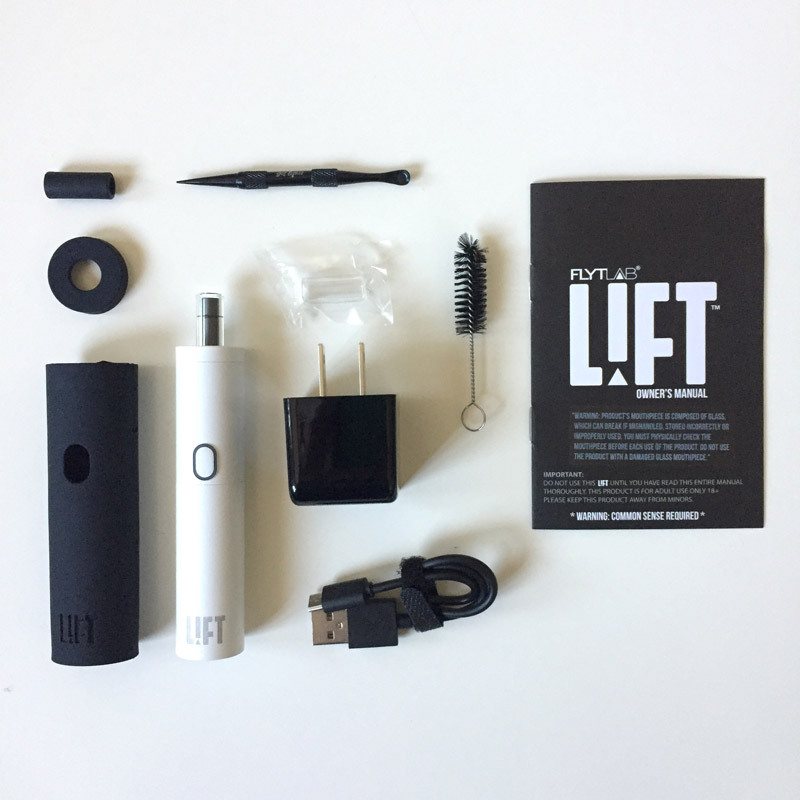 The LIFT vape is a well-designed, portable loose leaf vape for your cannabis flowers and dry herbs. This vape has some unique features including its magnetic flip-lip mouthpiece, all ceramic hybrid convection/conduction oven, and smart heat system for clean and efficient vaping. The LIFT vape heats up fairly quickly. Depending on your desired heat setting, it takes between 30-40 seconds to heat up. Once the oven chamber reaches the optimal temperature, the vape session will last two minutes before powering down. 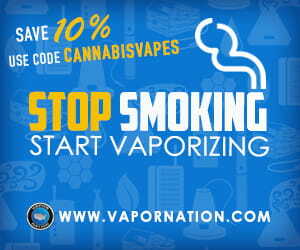 You can also power down the vape manually at any time. The device on a fully charged battery will last around 15-20 sessions depending on the temp setting. The battery fully recharges in about two hours using the included mini-USB cable and wall adapter. The wall adapter is a nice bonus as most other vape brands include only the USB cable. The LIFT vape is equipped with a retractable mouthpiece that will prevent the device from accidentally powering on if the mouthpiece tip is inside the chamber. The Smart Heat System on the LIFT also begins to automatically cool down if the device is left idle for more than 30 seconds which helps preserve your cannabis as well as battery life. The mouthpiece is made of a heat-resistant thermoplastic core with an outer layer of pyrex glass. Unique to the LIFT vape, the mouthpiece stores inside the oven chamber and flicks out (with a switch-blade like action) which is pretty nifty. When fully loaded, you push down on the mouthpiece to pack down your ground up herbs inside the oven chamber. The oven chamber itself is made of all ceramic. The contents inside the oven is heated using a combination of convection and conduction for a clean and even burn. 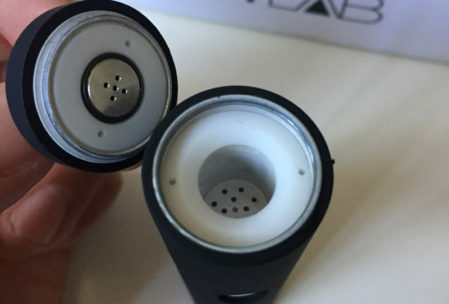 Unlike other vapes that are purely conduction, the LIFT vape will not cause uneven hotspots. 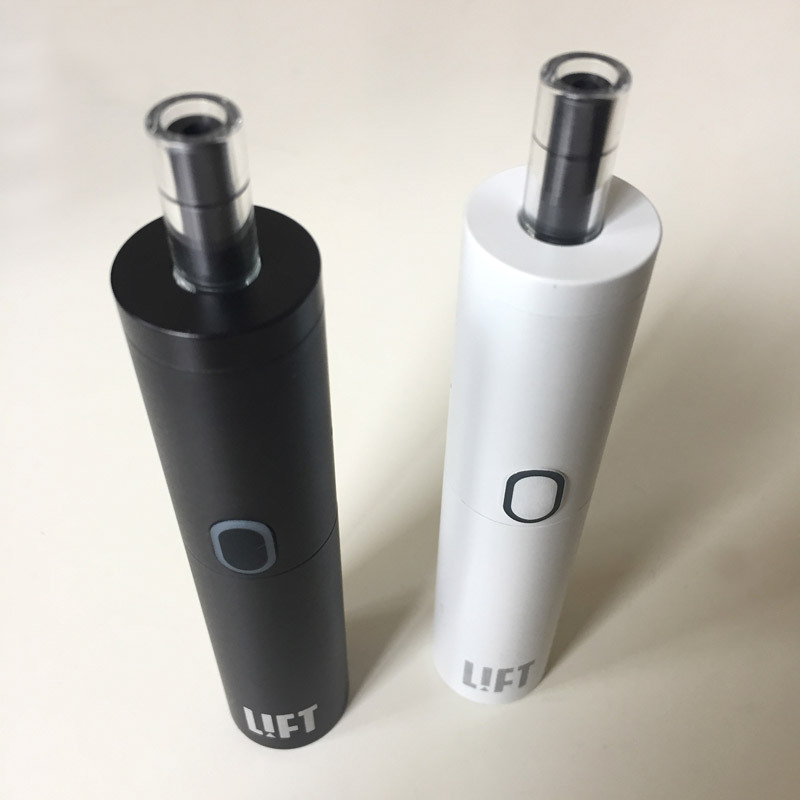 The LIFT vaporizer is one of the most simple dry herb vapes to use. 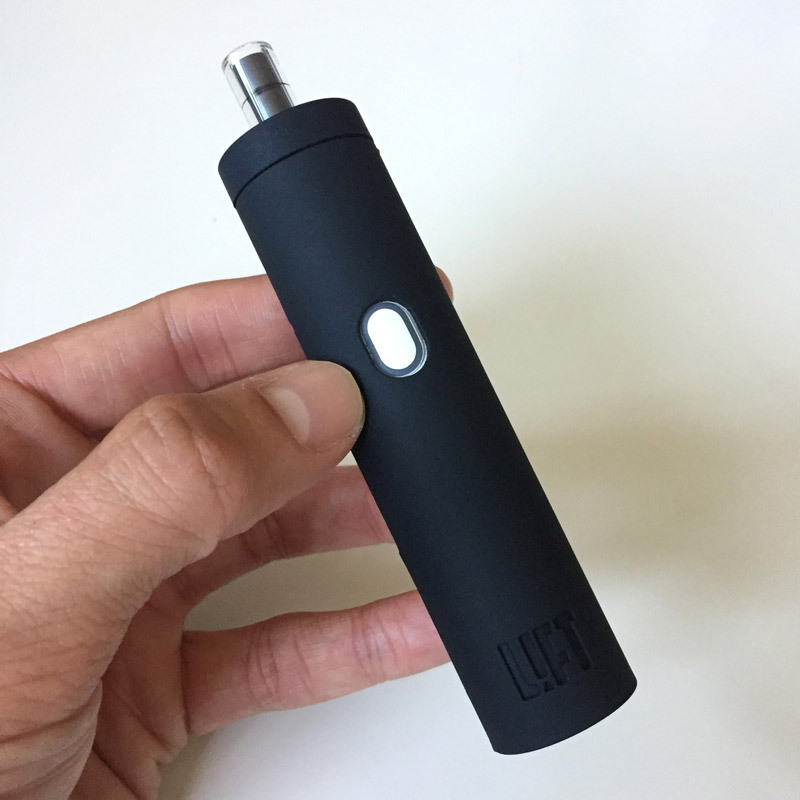 It’s designed with a single button along the shaft of the device, which is color coded to indicate battery life, vape temp and power. With the mouthpiece extended, unscrew the oven lid to expose the oven chamber. Grind up your loose leaf cannabis and pack loosely into the chamber. Screw the lid back on and push down on the mouthpiece which effectively packs down the ground up material. Press the button rapidly three times to power the device on/off. The LED light around the power button will glow, automatically cycling through three different colors/temp settings: blue (low), yellow (medium), green (high). Press the button to select the desired color/temp setting. Once the oven reaches the right temp, the light will change to green indicating GO! You can always readjust the temp setting by pressing and holding the button for a few seconds until the light starts to change color. Check battery life by pressing and holding the button when the power is off. PRO TIP: The LIFT works best with a medium grind. Because the chamber and mouthpiece uses such fine sized holes for airflow, they can become easily clogged if the grind is too fine. Also, be sure to use the included brush to keep the airways clean. 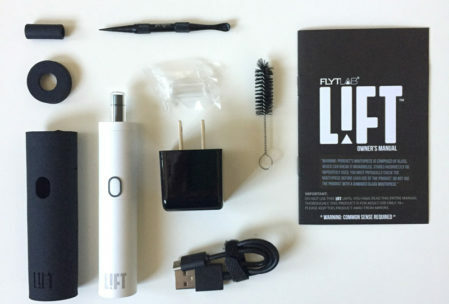 The FlytLAB LIFT is a great, compact dry herb vaporizer. It’s stylish, streamline body and quality materials make this vape a great choice especially at its current price point. 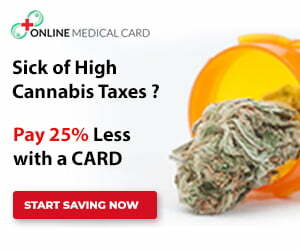 The all ceramic oven which holds roughly 0.5-0.7 grams is enough to give you a decent buzz. Its clean vapor path definitely produces some tasty vapors so you’ll want to use the LIFT for your top shelf flower. It’s so simple to use, you’ll master it after one try. The only downside is the airflow which can seem a bit constricted – just be sure not to block the airways. However, after 2-3 sessions with the LIFT, you’ll definitely “get lifted” and be in a nice headspace! 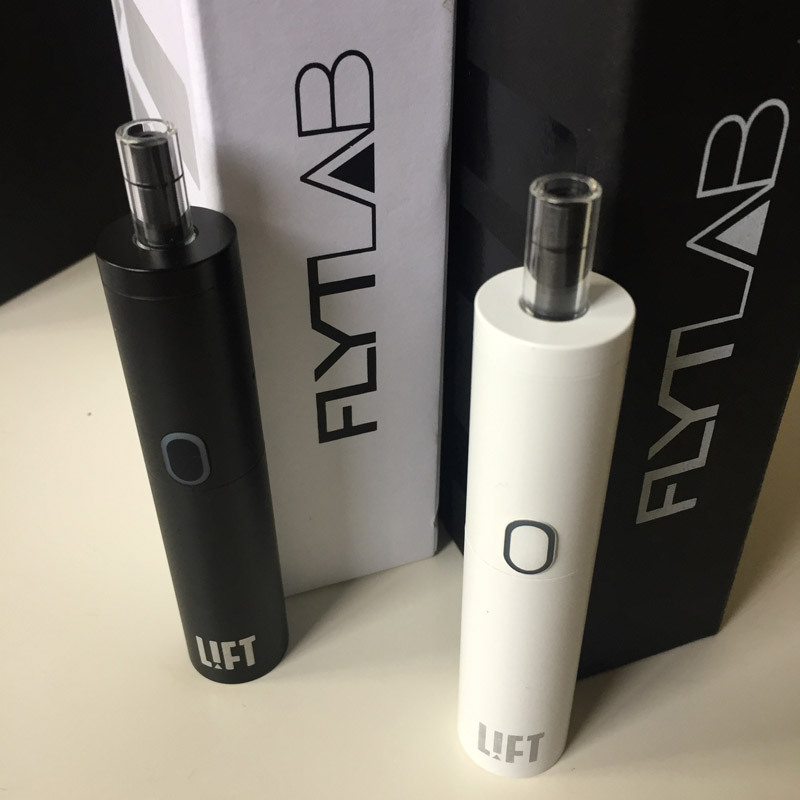 The LIFT vaporizer by FlytLAB is available for $150 + FREE shipping directly through VapeWorld. All FlytLab products are backed by a 10-year manufacturer warranty. The LIFT is available in black or white.